Isis and Scatty had a read- a-thon going on from May 1st to May 7th. I found out about it on April 30th, and I was excited to read my life away. However, my life said “No, Marina you can not just spend your days reading books.” I was completely unprepared for the busy week that I have found myself in. I didn’t make any goals for the read-a- thon because I knew that I would not have a lot of time to read. Through out the week, I actually forgot that I challenged myself to participate in a read-a-thon. So, without any goals and without any page counts, my progress stands at that I finished “Lola and the Boy Next Door” by Stephanie Perkins, which left off on a book hang over. I wanted and needed the next book in the series, as I mentioned in a previous posted I hit up my friendly kindle store searching for the last book in the trilogy and was completely disappointed to find out that it doesn’t come out until August 2014. But, do not fear, as most book lovers and bloggers I found myself staring at an enormous to be read pile sitting on my shelf and an equal pile that has accumulated on my kindle. I ended up picking up “The Fault in Our Stars”, by John Green, which I have heard a lot about and wanted to read for quiet some time. Currently, I am bout 48 pages into “The Fault in Our Stars,” and I am absolutely in love with the characters and the world building that John Green provides for the reader. I can not wait for the movie to come out and be able to relive the story again. For those who don’t know what “Waiting on Wednesday,” is, it is a weekly event where book bloggers display there most awaited reads. It is hosted by Jill, at Breaking the Spine. So, for those who follow my Goodreads, you may be aware that I have been sucked into the whole world of “Stephanie Perkins,” she is the writer of “Anna and the French Kiss,” and “Lola and the Boy Next Door,” the second installment in the addicting series. 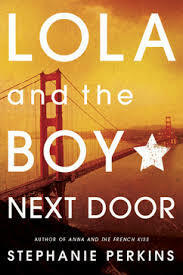 I found myself reading “Lola and the Boy Next Door,” and was positive that the third and last book in the series was out. So, the plan was finish “Lola and the Boy Next Door,” download “Isla and the Happily Ever After,” and continue to fall in love with the plot and the characters of these books. But, here is were we get to the moment of disappointment. 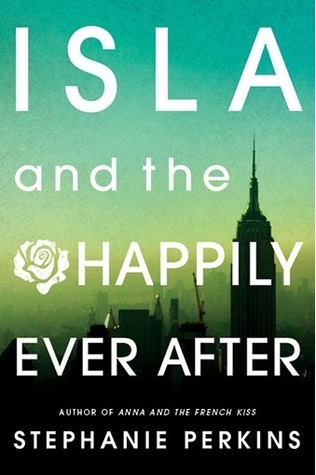 Last night I go on amazon, and I’m looking through the e-books and there were the download button of “Isla and The Happily Ever After” should be there is a large yellow button that says PRE-ORDER!!! I felt like my heart dropped into my stomach and my entire reality had just shattered into a million pieces. Ok, well now I’m being a little dramatic, but it was quite a sad moment. So, without further or due todays “Waiting on Wednesday,” is “lsla and The Happily Ever After,” by Stephanie Perkins. From te glittering streets of Manhattan to he moonlit rooftops of Paris, falling in love is easy for hopeless dreamer Isla and introspective artist Josh. But as they begin their senior year in France, Isla and Josh are quickly forced to confront the heartbreaking reality that happily-ever-afters aren’t always forever.